Birmingham, Alabama – 18 November 2015 – Interaction Advisory Group (IAG) today announced its launch in response to the increasing number of recent adverse events related to interactions with people with special needs. The company was co-founded by noted special needs advocate Dustin Chandler and traditional merchant bank Kirchner Group who both believe inclusion and acceptance for all individuals with special needs is integral for our future. 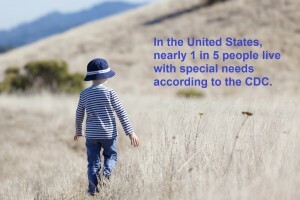 IAG recognizes that in the United States, 1 in 5 people live with special needs and understands you cannot necessarily look at a person and identify them as having special needs, therefore training and prior preparation is extremely important. Dustin, who will serve as the principal trainer is a former police officer in the state of Alabama and father of a child with special needs thus, he has a distinct ability to relate to first responders, public service officials, educators, and hospitality professionals while providing customized training and awareness. Dustin is a nationally known advocate and was also the driving force behind Carly’s Law, which allows the use of CBD Oil in Alabama to qualifying patients.